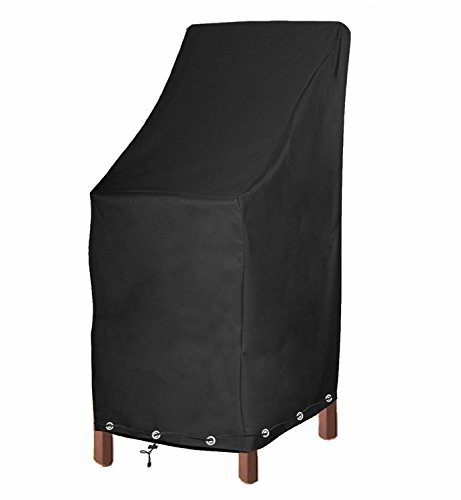 Patio Chair Cover, Bar Chair/Stool Cover, Stackable Chairs Cover - Premium Outdoor Furniture Cover with Durable and Water Resistant Fabric?L27.5 x D27.5 x H49.2 inch) (1 Pack with Lock Hole) by Konln at COTM Blog. MPN: kon70804-C1. Hurry! Limited time offer. Offer valid only while supplies last. 1-year Limited Warranty for Your Protection. Our warranty "covers" your cover in the event of defects in materials or craftsmanship for up to one year from the date of purchase. If you have any questions about this product by Konln, contact us by completing and submitting the form below. If you are looking for a specif part number, please include it with your message.